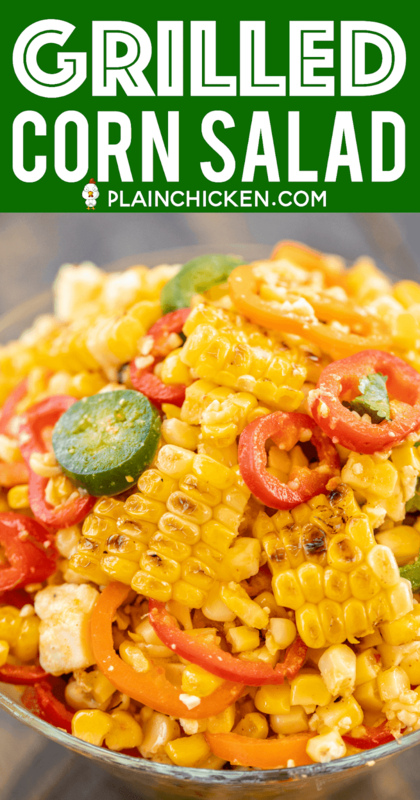 This Grilled Corn Salad is a summertime favorite! 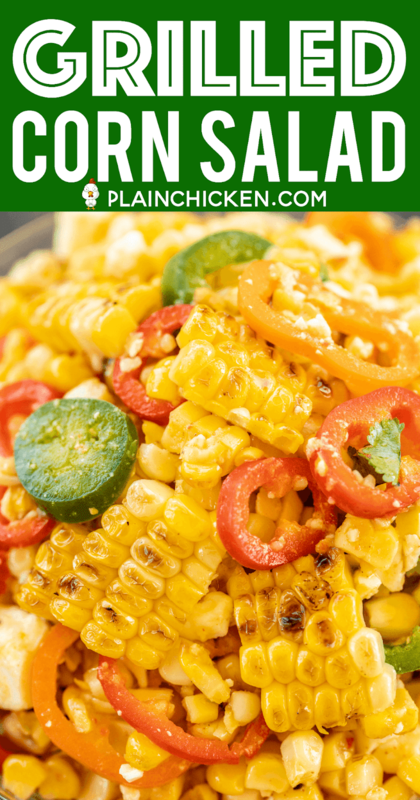 Fresh grilled corn, sweet peppers, jalapeños, feta tossed in a sweet lime vinaigrette. SO light and delicious. 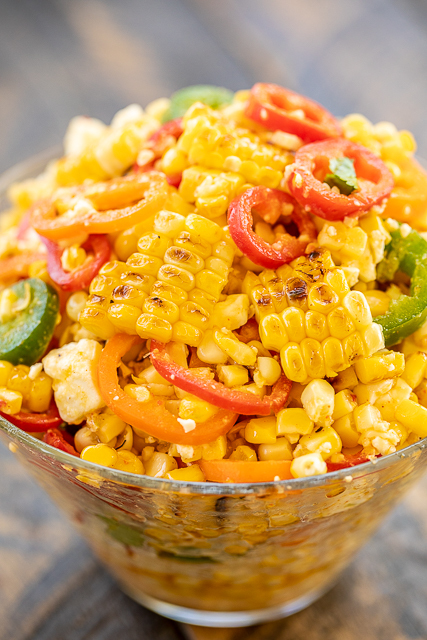 PERFECT for all your summer cookouts! 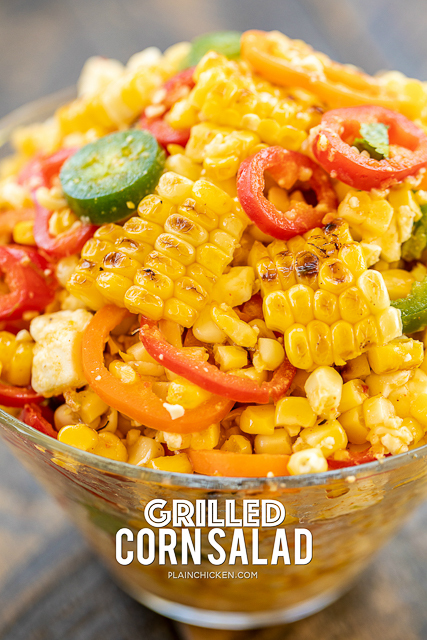 Just toss the corn on the grill with the meat and this Grilled Corn Salad comes together in no time! 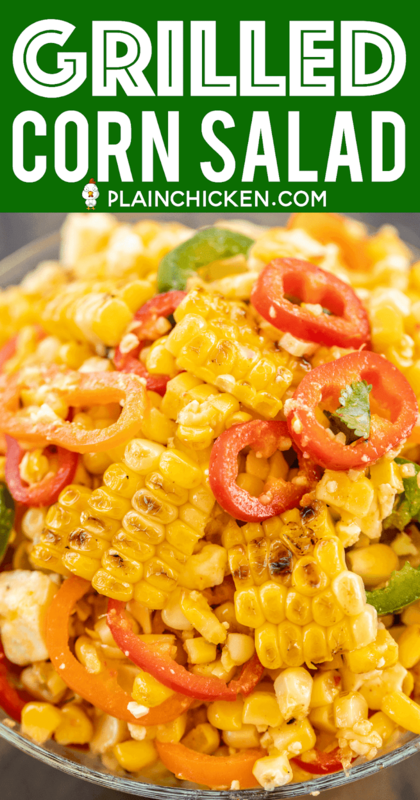 We served this Grilled Corn Salad with some grilled chicken. It is also great with pork and beef! You can store any leftovers in the refrigerator. It will keep several days. 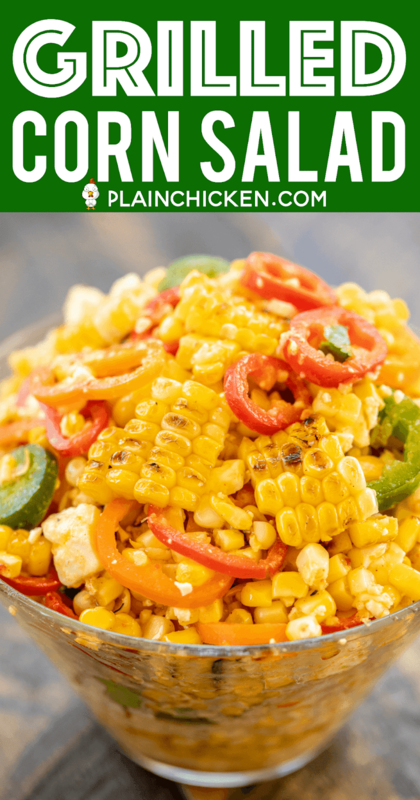 We LOVED the flavors in this easy Grilled Corn Salad. 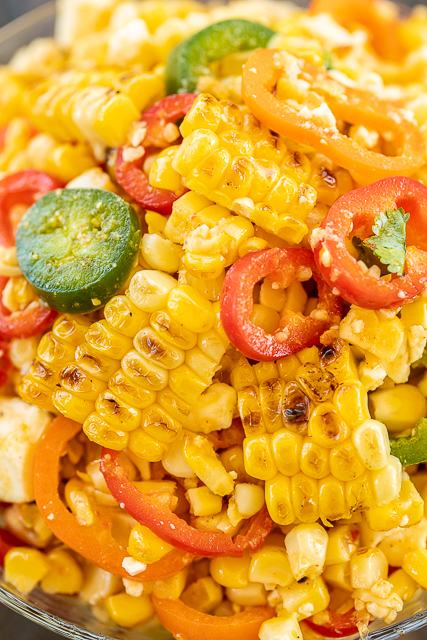 A little sweet and a little spicy. Perfect! 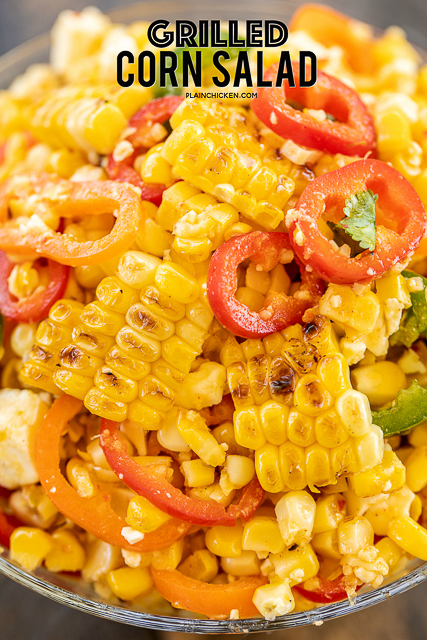 I used feta cheese in this Grilled Corn Salad. If you don't like feta, you can swap it out for some goat cheese or Cotija cheese. 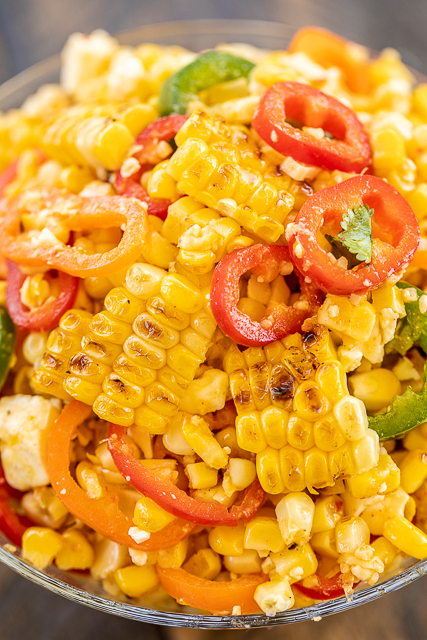 There is also a little fresh cilantro in this salad. If you aren't a cilantro fan, you can definitely leave it out. Spray corn with cooking spray. Place on grill and cook until charred on all sides, 10 to 15 minutes. Transfer to cutting board, cool slightly, and cut kernels off of cob (corn cob kernel remover). Whisk together lime zest, lime juice, olive oil, garlic, honey and cumin. Season with salt and pepper. 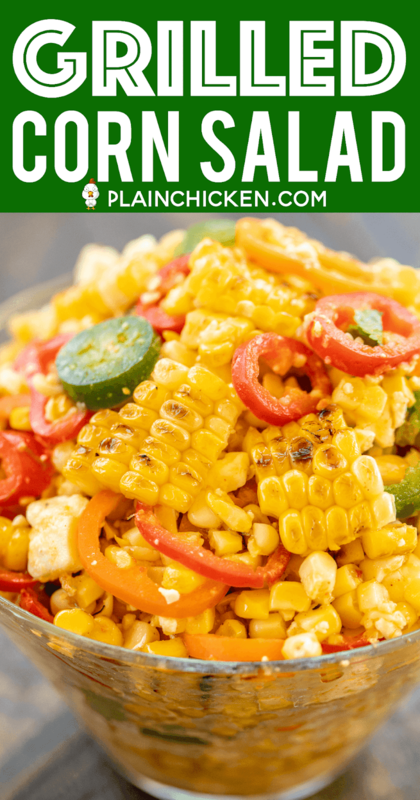 Toss together corn, sweet peppers, jalapeños, feta, cilantro and vinaigrette.